ONE OF THE three teachers’ unions has said schools across the country will be shut down if the government does not move to restore equal pay for young teachers. Speaking from his union’s annual conference in Killarney, Co Kerry, this morning, president of the Irish National Teachers’ Organisation (INTO) John Boyle said “patience is definitely running very, very thin in relation to the seven or eight years of dastardly cuts to the young teachers”. A pay arrangement in 2010 put newly qualified teachers on a lower scale than their colleagues and the unions have been pushing to close this gap. Around 75% of the cuts introduced at that time have now been restored, but Boyle said a teachers who started earning in 2012 will be €100,000 worse-off over the lifetime of their career. Boyle told RTÉ’s Morning Ireland that unions will work together and will “take every means necessary” to get full pay equality. My big concern for our brightest and best young teachers who we’retraining at great expense to the taxpayer is that they’re leaving without career breaks, they’re voting with their feet, they’re emigrating in their thousands to the Middle East and further afield, even over to London and Edinburgh where they’re coveted and respected and paid equally. He said he did not expect industrial action before the end of this school year, but said it is possible that teachers could strike at the start of the next term. “Certainly at the beginning of the next school year if we don’t have ay equality negotiated by then I believe the members of the three unions will work closely together and we will be shutting down schools and withdrawing labour,” he said. Email “Unions will 'shut down schools' if equal pay for young teachers is not restored ”. 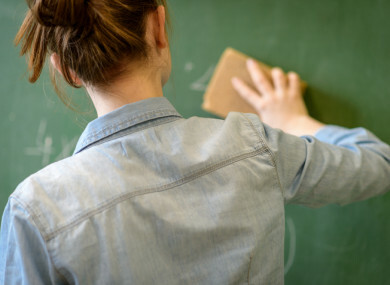 Feedback on “Unions will 'shut down schools' if equal pay for young teachers is not restored ”.